We work a lot with different companies. What kind? All kind! Small, big, international or local, focusing on hardware, software, training, innovation… whatever you’re doing, we are certain that we could get along! How do we work with companies? We organize g4g events at workplace, we provide volunteering opportunities for employees, we welcome sponsorshop opportunities, … Discover everything below! 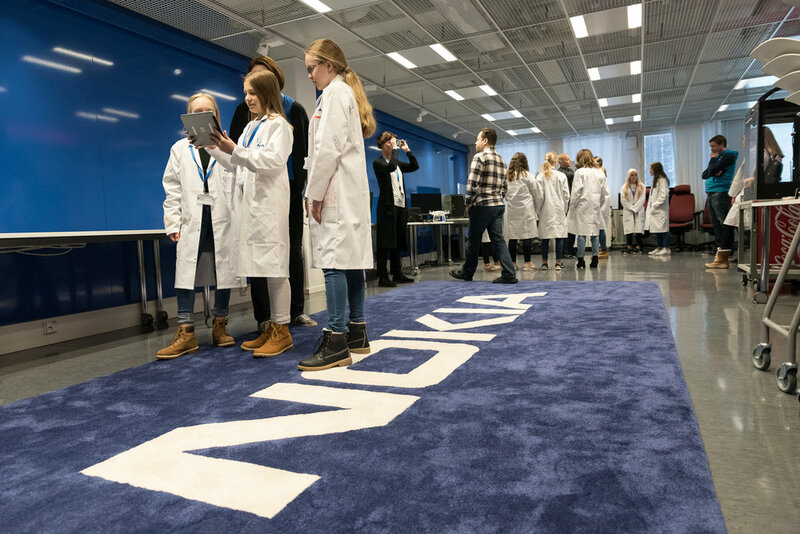 During our @work events, we bring girls to companies for a full-day of on-site STEM learning & certification through hands-on interactive training to show them a glimpse of what a certified-future working with a company would look like. Why? Because we believe that girls should be able to experience the IT world first hand, in an interactive work environment – to be able to see, touch, hear and be inspired by the possibilities their future holds. We also believe it’s very important for them to meet female role models in the STEM world. And where could we find these amazing women if not in your company? You want to sponsor an event or a program? You don’t have the resources to host your own event at your workplace but still would like to be involved with g4g? Get in touch with the form below to let us know where you are and we will find an existing event you can join!